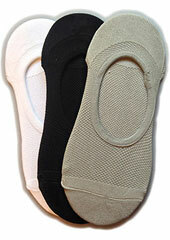 A full sized footsie for court shoes and other shoes that cover the Achilles heel and the toes. They are padded around the ball of the foot, making it ideal for giving your feet a gentle time throughout the day. The perfect and most practical accessory Charnos currently have to offer.